Hess Property Solutions is proud to be part of the FortuneBuilders Gives network of companies dedicated to giving back to our community. We are passionate about philanthropy and we have had the honor of working with amazing organizations like Habitat for Humanity, the Red Cross and the Equal Footing Foundation. 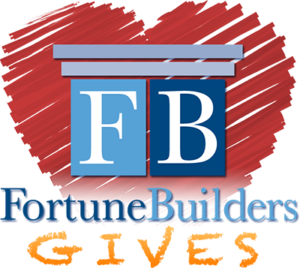 Learn more about our efforts and find out how you can get involved by visiting FortuneBuilders Gives.